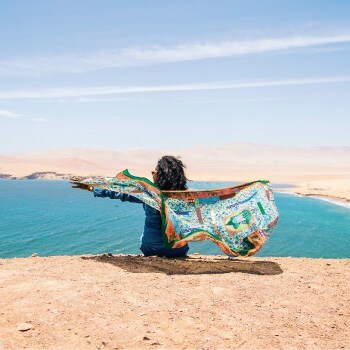 The ultimate blog post for information on Cusco Airport in 2019 is right here – how to get to and from the airport safely, info on the facilities and more! 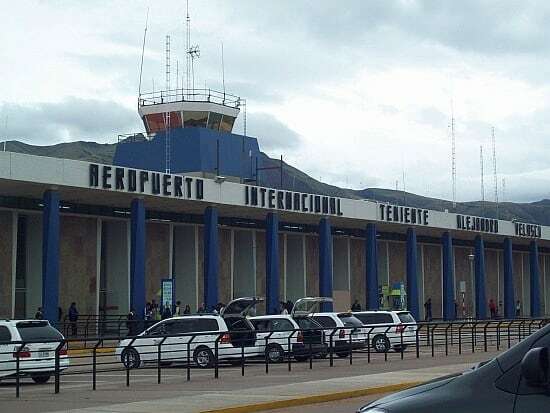 Cusco Airport, Peru – or to give it its official title: Alejandro Velasco Astete International Airport, is Cusco’s only airport. The airport has consistently ranked as Peru’s second most important air terminal, after Lima Airport (Jorge Chávez International Airport), annually handling close to 2,500,000 national and international passengers. 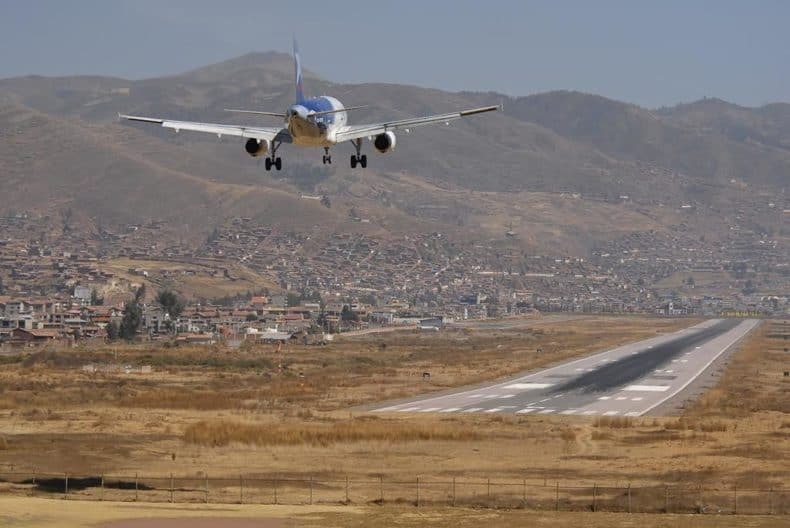 The airport is located 5.5 km (3.4 miles) from the Plaza de Armas in the historic centre of Cusco. The approximate journey time is 20 minutes by taxi. Unlike Lima International Airport, which is served by the luxury buses of Airport Express Lima, Cusco Airport is not so well served. 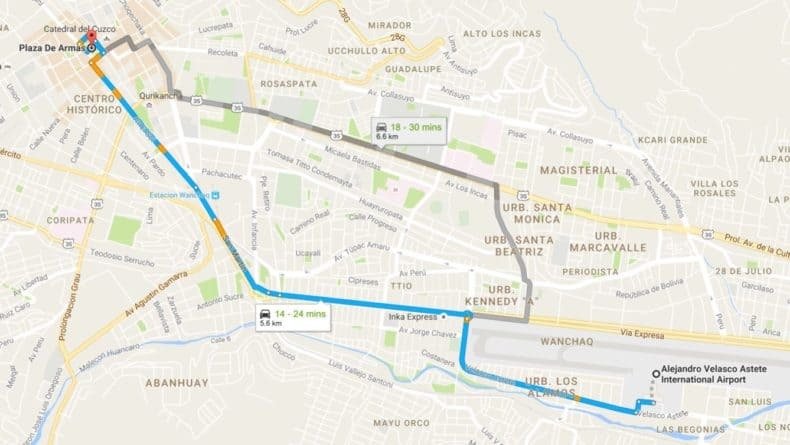 There is no bus service directly to or from Cusco Airport itself and the centre of Cusco. 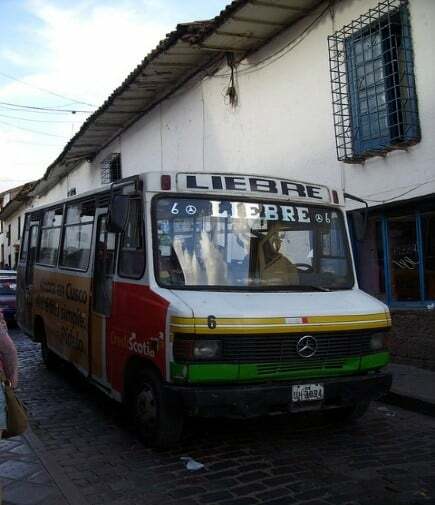 However, Cusco is serviced by a network of privately owned mini buses known as Combis. Each Combi company has a set route that they trace all day on fleets of old inner-city buses. They do not have fixed schedules but run very frequently. Fares are 0.80 (PEN). The buses are crowded and the seating very limited, there are no baggage storage areas. These buses are notorious for pick-pockets and we do not advise travellers to use them for transport to or from Cusco Airport. Taxis are by far the most popular mode of transportation for people to and from Cusco Airport. On arrival at Cusco airport you will find an abundance of taxi drivers offering their services. At the baggage collection carousels within the terminal there are two small desks offering airport transfers. Llama Taxis are one these, their fleet of taxis comprises of modern and safe black Toyota saloons. The price from Cusco Airport to Plaza de Armas or any of Cusco’s tourist hotels (within the city) is 45/55 Soles (US$15). Beyond this just outside the door to the building to your left, a vast quantity of taxi drivers congregate (you can´t miss them). In typical Peruvian taxi driver style, they can be a little overbearing and very persistent, but don’t let this put you off. No taxis are metered here so you will need to agree a price first before getting in. The price of a taxi from Cusco Airport to the historic centre of Cusco is around 10 – 15 soles (US$ 3.50 – 5.00) for the 20 minute journey. Be aware that taxi drivers will start by offering a price of 25 – 30 Soles (US$ 7.50 – 10.00) or even higher. You will need patience and the ability to negotiate firmly to ensure you get a fair price. Taxi drivers are required to pay a 2 Soles parking fee when leaving Cusco Airport, and often ask for this from the passenger in addition to the pre-agreed fare, be firm and inform them this was not the agreement. As you leave the terminal building to avoid the baying mob of taxi drivers on the left it is possible to walk to the right along a footpath by the car park wall. This will lead you out to the gate where you will find a cab for under 10 soles to anywhere in Cusco. 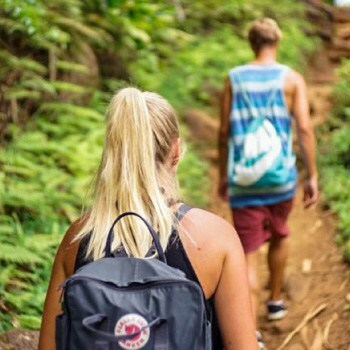 When travelling from your hotel or hostel to the airport, the reception at your accommodation can call a reliable taxi company to take you to the airport. If you prefer, it is very simple to hail a taxi on the street in Cusco and simply request AeroPuerto. There are heaps of easily identifiable taxis with roof signs on the streets of Cusco. As the taxis are not metered, agree the fare before getting into the taxi. The price will range from 8 – 12 Soles from anywhere in the centre of Cusco or San Blas. There are a host of companies offering private transfer services online from Cusco Airport to the historic centre. Cusco Transport Tours, Cusco Airport Shuttle and Cusco Transfers to name a few. Prices start from US$20 for a saloon car and increase with each additional passenger. Landing and taking off in Cusco is spectacular but not for the faint-hearted. This airport has a visibility restriction and only operates during daylight due to the requirement of a visual approach for the pilots to land. 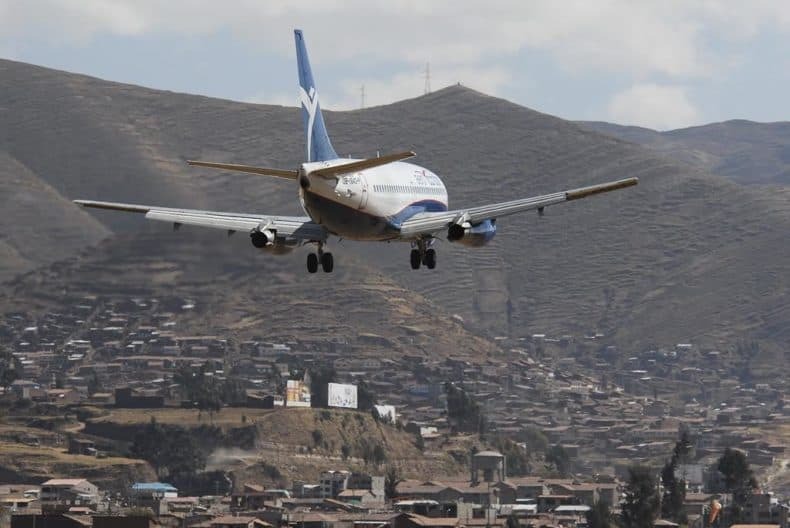 Flights in and out of Cusco are constantly delayed because cloud cover or bad weather make landing on the perilous runway almost impossible. The airport in Cusco is basically a nice-weather-only airport. If the cloud cover is less than 3,800 feet above the airport, planes cannot land. 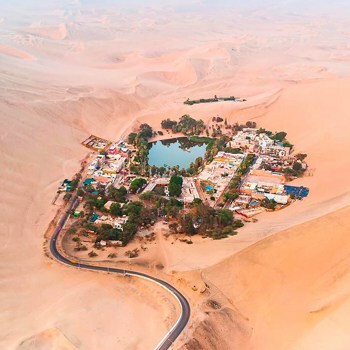 In comparison to Lima, where it is only when the cloud cover is less than 200 feet above the airport that planes cannot land. 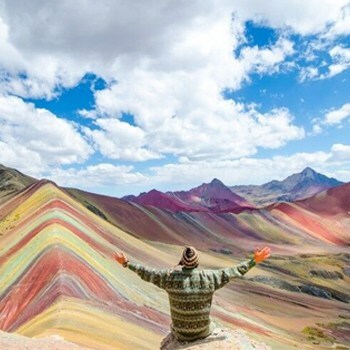 This is due to the fact that Cusco Airport is perched high in the Andes at over 11,100 feet and surrounded on all sides by even higher mountains. Cusco Airport is limited in other ways as well, the approaches are only part of that. 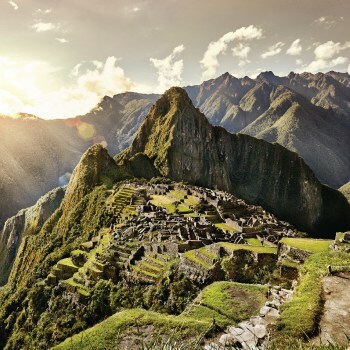 For example, in windy weather, flights can be delayed because airliners can only land to the West and take off to the East in Cusco. Passenger airliners do not have the required performance to clear the 14,300 ft mountain at the end of the runway if taking off to the West. So if winds are too strong (most airliners are limited to 10-15 mph tailwinds on take-off), you’re stuck. Cusco airport is a small, single-terminal international airport with minimal amenities and services and is now operating at maximum capacity. NOTE: The airport is open 5:00AM – 10:00PM. It is not possible to spend the night in the airport. Tip for Cusco Airport: On the grounds of the airport in the small car park are a number of shops and kiosks. They are located directly in front of the main door of the terminal building across the other side of the car park. They sell a range of sweets, biscuits, drinks and even freshly made sandwiches at very reasonable prices and far cheaper than anything within the airport building. WiFi: There is no airport WiFi and access to the restaurant WiFi is only available upon making a purchase. Storage Lockers: There are no passenger storage facilities in Cusco Airport. Showers: There are no shower facilities in Cusco Airport. On the first floor there are 20 check-in desks with very limited space. There are no seating areas. Money Exchange: On the ground floor is a small money exchange booth. Here you can exchange Euros, Sterling and US Dollars. Exchange rates are not as good as you might find in the centre of Cusco, but this is an airport after all. Note that ripped or even slightly damaged foreign currency will not be accepted. Club Lounge: On the first floor to the left of the check in desks there is a club lounge. The lounge offers comfortable seating, free WiFi connection, flight information monitor, complimentary drinks and a small range of snacks. This lounge does not have any sleeping facilities. This lounge is located in the public area of the terminal. If you are in transit, you would need to leave the secure zone to use it. It is wheelchair accessible. The lounge is free for Diners Club International members and Lounge Club members, or there is an entrance charge of US$30 per person. The lounge is open from 6am – 4pm. ATMs / Cash Machines – All of Peru’s major banks have ATM machines at the airport (ground floor) and accept Visa, MasterCard, Amex and all other major credit/debit cards. Tourist Information – On the lower level tucked away to the rear of the airport there is a small tourist information booth. 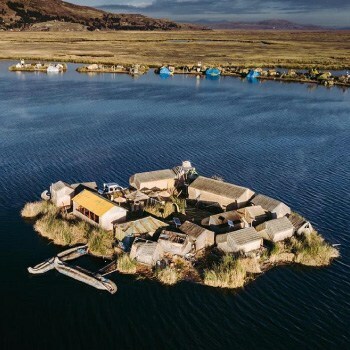 Operated by PromPeru the official Peruvian Tourist Board, the staff can offer tourist information about, not only Cusco, but all other destinations in Peru. Here you can also log complaints about hotels, airlines, tour companies and guides. Open from 6am – 5pm. Seating is uncomfortable and extremely limited, often not enough to accommodate the amount of passengers waiting in the airport. Restaurant: There is a medium-sized restaurant that offers everything from tea and coffee to burgers or full Peruvian dishes like Aji de Gallina. Prices are fair, and the food is reasonably tasty. Snack Bars: Two small snack bars can be found on the second floor of the airport. They have limited selections of snacks and drinks, and prices are relatively expensive. Souvenir Shops: There are two very small souvenir shops selling a small selection of local produce from chocolates, Pisco tumblers and Machu Picchu jigsaws. Of course it will be much cheaper to do your souvenir shopping in the city instead of the airport. Masseuse: There is a tiny open massage area with two chairs which offer neck and shoulder massages from 10mins to 30mins. Book Store: Just to the left of the security checks is a small book store, with the usual range of Lonely Planets and some literature on Machu Picchu. Seating is uncomfortable and again limited. At peak times there is not enough to accommodate the amount of passengers waiting at the gates. Snack bar: A small snack bar offers everything from empanadas to cakes to fresh sandwiches and the usual selection of drinks like coffee, herbal teas, water and fizzy drinks. There are no big plates of food on sale here. Prices are higher here than in the public area of the airport but they are still reasonable compared to other airports around the world. Shopping: The small departure lounge has 4 high-end shops located close to the gates including Ilaria jeweller and Kuna the alpaca knitwear manufacturer. 2 Cafés – Downstairs there are two small cafés with a good selection of sandwiches, salads and hot drinks. Prices are inflated but not overly so and the quality is good. Given the fact there is no scope to increase capacity at the current location, a new airport is being built outside of Cusco, in Chinchero. 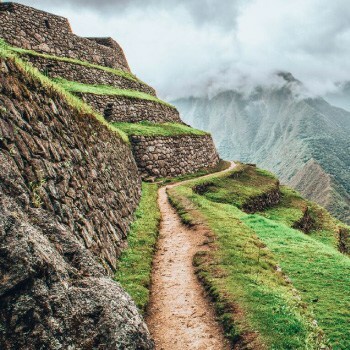 Peru is going ahead with the construction of a high-volume airport despite controversies over potential risks to the ecological treasures of Chinchero. 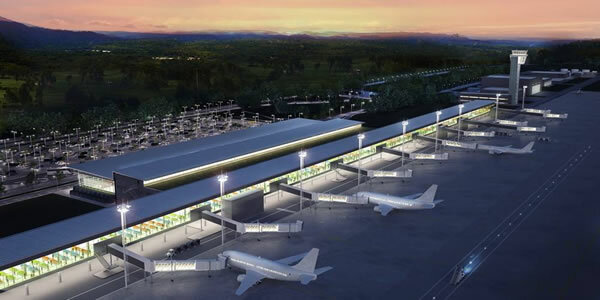 Chinchero Cusco International Airport will be located over 30 km from Cusco and this new airport will have more than double the current capacity of Cusco Airport. It is scheduled to open in February 2021. 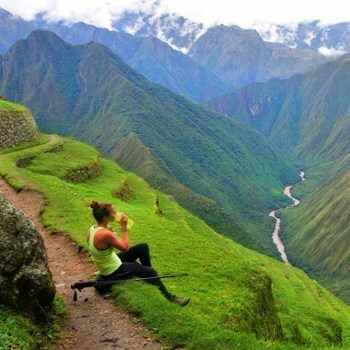 To book a Tour in Cusco we strongly recommend that you use FindLocalTrips.com a search and comparison website for tours across all of South America.